Halloween week is traditionally a time for creepy tales, but pop star Katie Melua has a real-life horror story to top the lot. 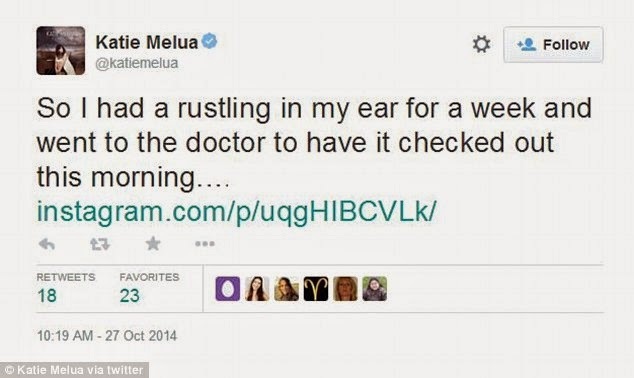 The 30-year-old had been bugged by a scratching noise – and when she went to the doctor’s to get it checked out, she discovered to her shock that it was caused by a spider living inside her ear. Even more alarmingly, it had been there for a week. 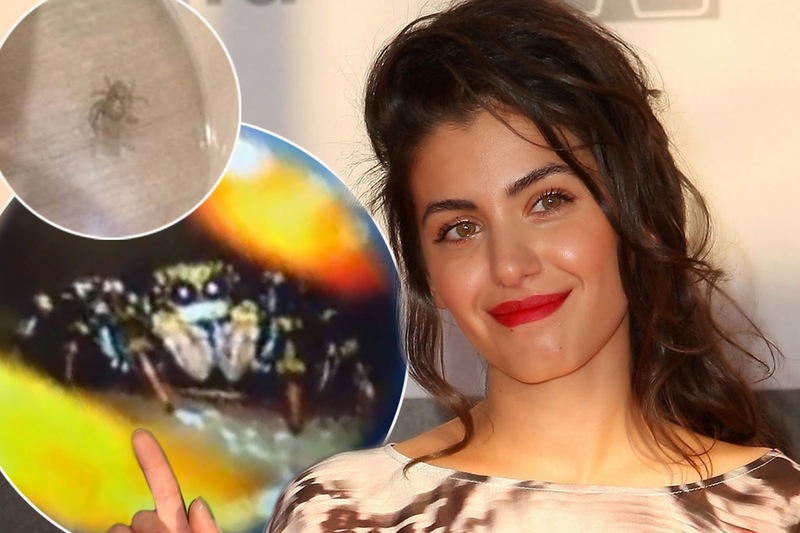 Melua – who once released a single called Spider’s Web – believes the creature had previously been living in a pair of earbud headphones she recently used. 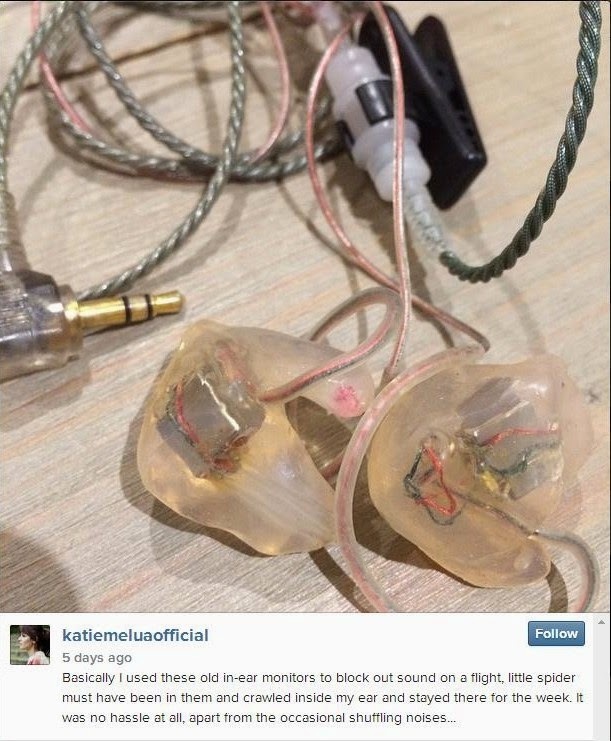 She wrote alongside the picture: ‘Basically I used these old in-ear monitors to block out sound on a flight, a little spider must have been in them and crawled inside my ear and stayed there for the week. A spokeswoman for the star, best known for hits such as Nine Million Bicycles and The Closest Thing To Crazy, said: ‘The ear specialist said he’d never in his career taken out a live bug before. Plenty of dead ones. When it was out it was pretty tiny. 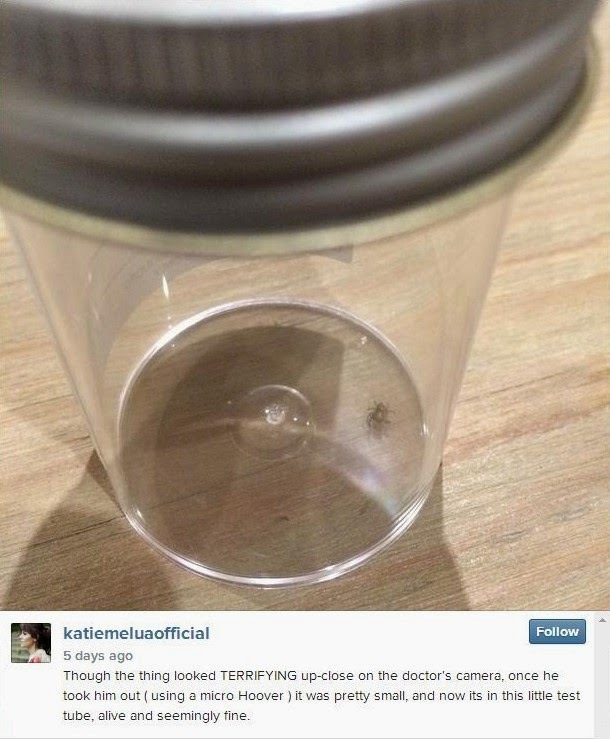 ‘Katie kept it in the test tube and released it in her garden when she got home. The news comes two weeks after The Mail on Sunday reported how a London family found a deadly Brazilian spider delivered with bananas in their Waitrose shopping order. Ms Melua’s intruder was identified as a member of the salticidae – or jumping spider – family. They are common worldwide, but in Britain they rarely grow bigger than half an inch. Experts were, however, divided about how the spider might have survived for so long. Dr Tim Cockerill, who presents the BBC series Spider House, said: ‘I have never heard of this before. ‘But lots of spiders don’t need to feed as frequently as you think. At this time of year spiders have been eating flies and are very well fed so they can survive weeks and weeks without food. In 2012, a woman in China discovered a spider had been living in her ear canal for five days. Doctors retrieved it by pouring a salt solution into her ear. But last year sculptor Graeme Lougher from West Sussex wasn’t so lucky when doctors removed a live spider from his ear. The creature immediately shot up his nose and his ordeal only ended when he sneezed it out.